Just cause your classes are hard this semester, doesn’t mean your move in day has to be! Fall semester will be here soon, which means move in day will be here even sooner. Get prepared for a smooth and stress-free move in day with our tips for moving into your off-campus Akron student housing! Follow our tips below, and you’ll be certain to have a seamless move in day and start to your semester at the University of Akron. Whether you’ve met your roommates before or not, reach out to them before move in day to coordinate apartment details. In our Akron student apartments, you’ll be sharing the kitchen and living room area with your roommates. Depending on whether you chose a 2 bedroom, 3 bedroom or 4 bedroom apartment, you’ll have anywhere from 1-3 roommates to coordinate with for the move in day. Coordinate with them what everyone is bringing for those common areas. Also, ask your roommates when their move in time is scheduled. That way you are all on the same page when it comes to your move in day. Start off living together right by communicating well. It’s important to know the floor plan of your new off campus apartment for knowing square footage and storage space. There’s a lot of amenities our floor plans already come with because our off-campus student apartments are all-inclusive. So you won’t have to bring furniture or appliances when living at University Edge. Also, note that the student apartment bedrooms each come with a full-size bed when selecting your bedding. While it’s easy to throw stuff in boxes for move in day, we recommend packing up your boxes by room. Marking your boxes, and sorting them by room will help you out when you go to unpack your boxes in your off campus housing. You’ll already know what box goes where and will help cut down on your organizing time while moving your stuff into your student apartment. There will be a couple of things you are bound to forget, but make sure you keep in mind what items you use in the kitchen or bathroom. These are rooms as a student that in most cases you didn’t have in your dorm room. Make sure you pack kitchen, bathroom and laundry essentials such as soap, trash bags, bath mats, cooking utensils, etc. One way to ensure that you don’t forget to pack certain items is to pack ahead of time. When you hold off on packing until the last minute, not only do you stress yourself out, there are bound to be more items that you don’t remember to pack up for your off-campus Akron apartment. We recommend getting a jump on packing up your things a couple of days before your actual move in day. Most importantly, enjoy move in day! This day is your first chance to make memories for the new semester at the University of Akron. We know moving all your stuff and unpacking can be stressful, but make the most out of your first day in your new off-campus apartment. 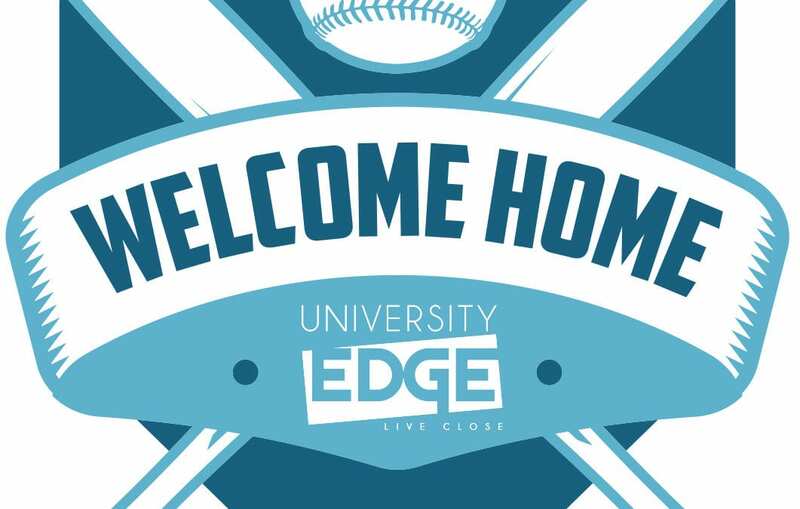 Enjoy more than just move in day when you live at University Edge. stay tuned for news regarding our fun-filled Welcome Week from move in day to August 25th! Have questions about move in day at University Edge? Contact our team for all your move in day related questions.